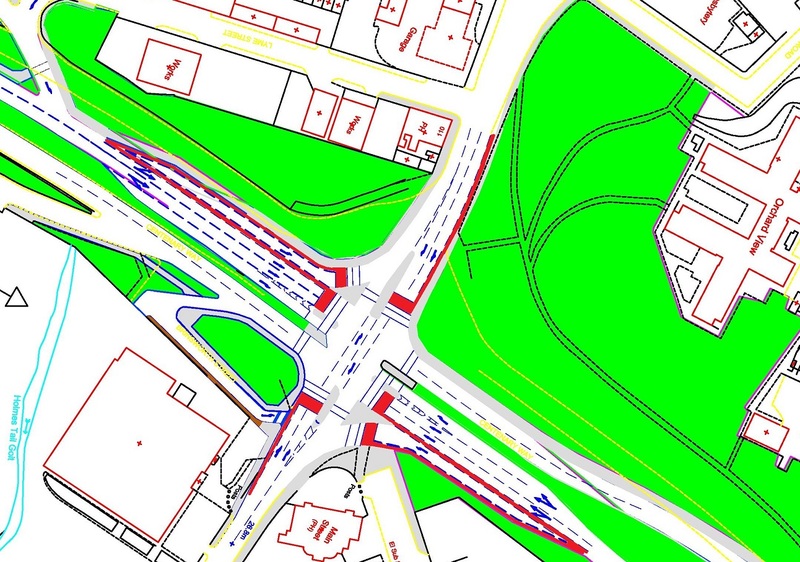 Just a quick post, Rotherham Council has just been awarded £3.4million from the Pinch Points Fund to convert Pool Green Roundabout into a signalised crossing. The road is a standard crossroads, it has 6 lanes in the north south direction and 3 lanes in the east west direction. Cycle facilities consist of in carriageway lanes and advance stop lines. Is this really the best we can do for cycling? The cycle lane design reminds me of another road in Sheffield, the new Inner Ring Road which seems to encourage drivers to cut up people in the cycle path to access the slip road. 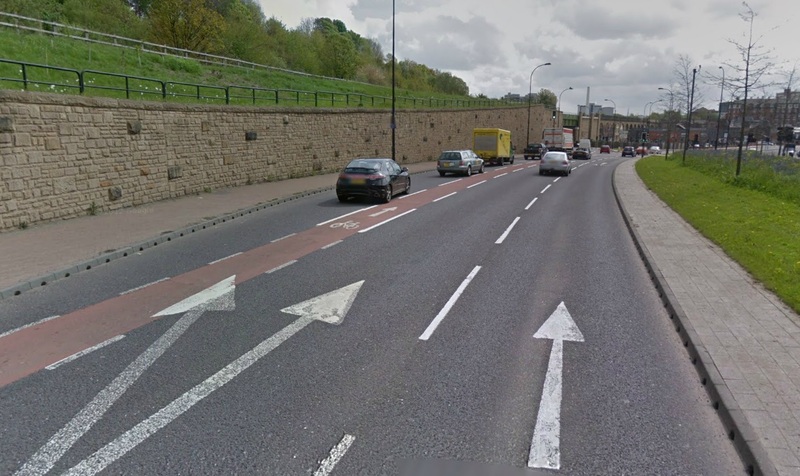 Surely within carriageway cycle lanes like these can’t be recommended in high traffic urban dual carriageways? Can they? 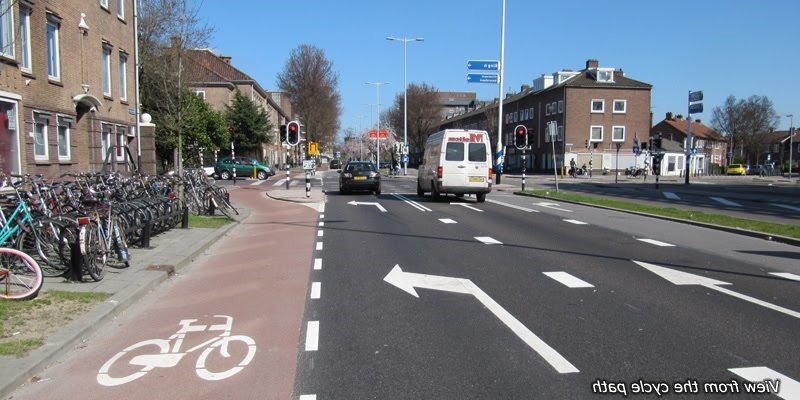 I much prefer this design from The Netherlands (borrowed from A View From The Cycle Path) which provides separation (I have flipped the photograph). This entry was posted in Uncategorized on May 31, 2013 by Matt. That makes me mad! There’s so much space for a much better solution. Hold the cars in a left turn lane while the cyclists cross the junction on the inside at the same time vehicles are going straight on. Problem solved! your solution clearly shows a better idea. any way you can put it forward to them? doesnt seem like much extra cost to them, saving on paint required too! one cycle lane not two needed!